Interested in optimizing your productivity? Contact us any time. We look forward to finding the Felins solution for you! The heart of our ability to overcome difficult application challenges is our material offering. Each option is designed to flawlessly flow through our tying machines without jams and breakages. For our mail tray and tub tying machines, we recommend our 7500 polytape tying material. 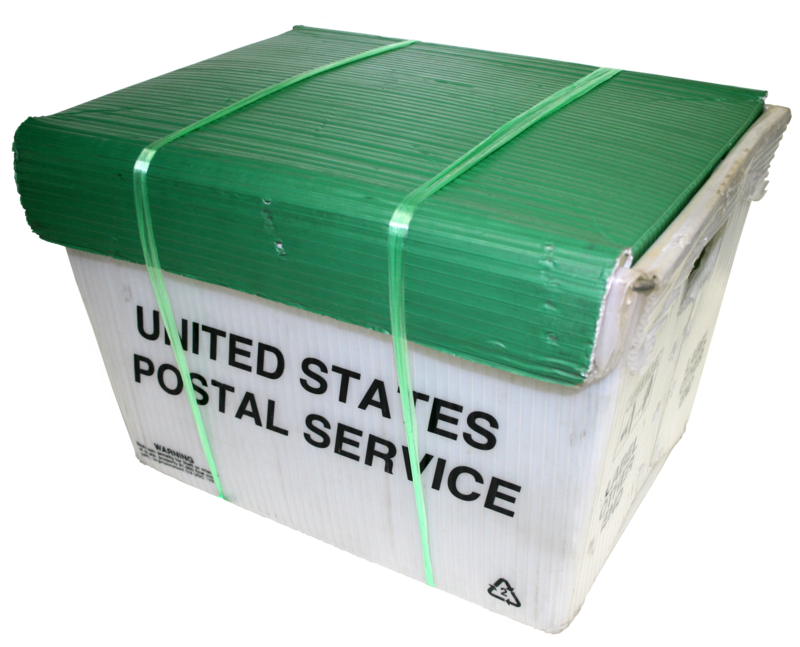 It is approved by USPS and, as the most economical form of bundling, is less expnsive than alternatives including strapping material. As both an equipment manufacturer and material supplier, we guarantee our machines will last longer and work better when used with our tying materials. Plus, we work to always have material ready to ship when you need it so your production is never halted while you wait for material. Let us show you how tying can increase your profitability. Please contact us for more information on our tying materials. I replaced two strapping machines with Felins machines. I love Felins machines. They are reliable, virtually no maintenance, and the material cost is the lowest available! Every mail room in the country needs one of these machines.